With the release of my “TriRating Report 2015” I have also updated my Top 10 Ratings. This post describes the overall ratings, the individual discipline ratings can be found here. The Report also contains a longer discussion of the ratings and 2015 highlights. Rachel Joyce had another solid season, improving from 3rd to 2nd in my rankings. Once again she was struggling with a mid-season injury but managed to get in excellent Kona shape. She finished second even after loosing time when the zipper of her racing top came undone at the start of the bike and she missed the front group. She’ll be working hard for a shot at winning in Kona next season. Mirinda Carfrae dropped to third place after a relatively slow (for her standard) validation race in Melbourne and an unfortunate DNF in Kona. I expect her to be back in great shape for 2016 – and hungry to prove that she can still challenge Daniela. Caroline Steffen (#4) hasn’t had a good 2015 season. She’s had solid results with podium finishes in Melbourne and Frankfurt and a couple of wins in 70.3s, but she was sick too often to train and race well. She is still a good enough athlete to finish 9th in Kona even with food poisoning in the days before. She’ll be looking to step it up again in 2016. Adopting a similar season plan to her IM debut season in 2013, Liz Blatchford (#5) had much better results than in 2014 and ended her season with a podium finish in Kona. Next year will be interesting for her: Can she solidify her position as one of the best long distance athletes and a Kona podium finisher or will she struggle to confirm the results of her 2013 and 2015 season? Eva Wutti (#6) had a year with some ups (winning her home IM in Austria with another sub-9 time) and downs (struggling with an injury and having to cancel 70.3 World Champs in her home country). She was disappointed with her 16th place finish in Kona, but I consider that a solid first Kona race considering she was hardly able to run in the weeks before the race. Susie Cheetham (#7) is the only new athlete in the female Top 10. She was steadily improving in her Ironman races, including a 6th place in Kona. It was only during this season that she became a full-time athlete so she seems to be in a great position to continue improving. With her run strength she’ll be a strong contender in her 2016 races. Even though she had a disappointing DNF in Kona, Julia Gajer (#8) can be content with her 2015 season. A second place at IM Frankfurt showed that she is able to compete in the strongest Ironman fields. Ultimately her goal is to perform well in Kona, and she’ll be working towards the necessary improvements in the coming months. Yvonne Van Vlerken (#9) decided not to race in Kona this year and declined her slot. Nonetheless she was racing a lot in the second half of the year, becoming the first athlete to have ten sub-9 finishes and already taking care of Kona qualifying even though she wasn’t in top form. She seems to plan for a much lighter racing schedule in 2016, with a clear focus on Roth and Kona. A healthy and rested Yvonne will be a strong contender for a Kona podium finish. After some changes in her environment, Mary Beth Ellis (#10) had a couple of good results (wins at the ITU World Championship and at IM Mont Tremblant) but she still had issues to run well towards the end of the marathon that cost her the win at IM Switzerland (she finished 2nd) and a better place than 13th in Kona. In order to place well in Kona, she and her coach Brett Sutton need to figure out how she can run once more under 3:10 as she was able in her best IM years between 2011 and 2013. Jodie Swallow (now #15) dropped out of the Top 10 – she had a great result in South Africa at the start of the year but was struggling to stay healthy. 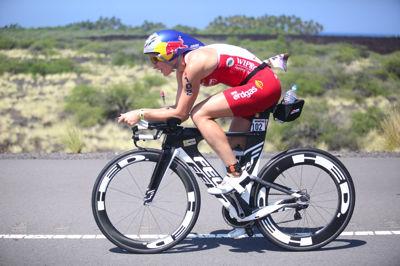 In Kona she tried to go for the win and had to pay the price with a DNF. Knowing her, she’ll be back in 2016 with aggressive goals. Similar to last year, there were quite a few changes in the Top 10 Ratings. 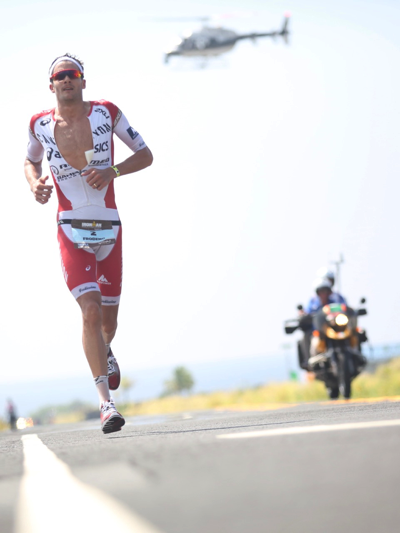 Jan Frodeno is the clear #1 after a dream 2015 season including wins in Frankfurt, at the 70.3 Championships and in Kona. After he wasn’t ranked last year (he only had two finishes at the end of 2014), the question most often asked is how long he’ll be able to dominate. We haven’t seen a successful male title defense in Kona since 2009 (Craig Alexander) – and Frodo seems to be poised to be the next one. Sebastian Kienle dropped back to second place. While he is probably disappointed with his season (especially his race in Kona) and being overshadowed by Frodo, he still had great results and is far from being finished. He’ll be hungry to step up again in 2016. With Brent McMahon in #3 there is another previously unranked athlete in the Top 10. His 2014 and 2015 results (including a win in Arizona, a 3rd in Brasil and a 9th place in Kona) lead to his designation of “Rookie of the Year”, and he’s probably going to be even stronger in 2016. Andreas Raelert in #4, Andy Potts in #7 and Marino Vanhoenacker in #10 are athletes that have improved their rating in 2015 and moved back into the Top 10. After a few disappointments in the last years and his DNF in Texas Andreas seemed to be at the end of his career, but he bounced back with a hard earned 6th in Frankfurt and a great second place in Kona, earning “Comeback of the Year”. Andy Potts won his summer IM in Coeur d’Alene and had another good race in Kona finishing fourth, but he’s probably a bit disappointed to once again miss a podium finish by one spot. He’ll turn 40 in 2016, so he won’t have too many season to gain at least one more spot. Marino had two sub-8 finishes when he won IM Brasil and IM Austria with the fastest 2015 Ironman. His only disappointment was a flat day in Kona that lead to a DNF. He’ll try to become the first athlete with IM wins on all continents by winning IM New Zealand in March. Frederik Van Lierde (#5) and Nils Frommhold (#6) dropped a bit in the rankings. They’ve had a mixed season with some great results (wins in South Africa for Frederik and in Roth for Nils) but disappointing Kona races finishing in 25th and 29th place. I expect them to finish much better in Kona 2016. 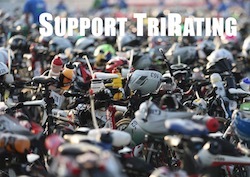 Timo Bracht (#8) decided once again to skip Kona. He took some time to recover from his races at the end of 2014, was back in great shape for Roth (but finished second behind a superb Nils Frommhold) and won IM Mallorca at the end of his 2015 season. It seems that he wants to race Kona again in 2016, it’s going to be interesting to see how he’ll be doing (his most recent Kona finish was a 9th place in 2013). Eneko Llanos (#9) had a solid 2015 season that included a 5th in South Africa, an 8th at IM Germany and a 7th in Kona. He’ll be another well-ranked athlete that is going to turn 40 in 2016, and I’m sure he’ll be looking for at least one more great result. Dirk Bockel (was #4) was injured for most of the year, he’ll be looking for a comeback in 2016. Craig Alexander (was #6) has continued to race 70.3s in 2015, but he ended his Ironman career after Kona 2014. Clemente Alonso-McKernan (was joint #8) had a great end to his 2014 season with three podium finishes in three IMs within eight weeks and needed some extra time to properly recover from those races and also deal with an injury. He DNF’d in Kona and hasn’t finished a 2015 Ironman. Bart Aernouts (was joint #8, now #17) had some great 70.3 results including a 4th in the 70.3 World Championships, but DNF’d in Kona. Jordan Rapp (was #10, now #15) had ups (a win at IM Mont Tremblant) and downs (DNF in Texas, 21st in Kona after dealing with a broken saddle). Even so he seems to be in a good position to re-enter the Top 10 in 2016.